floral arrangement. 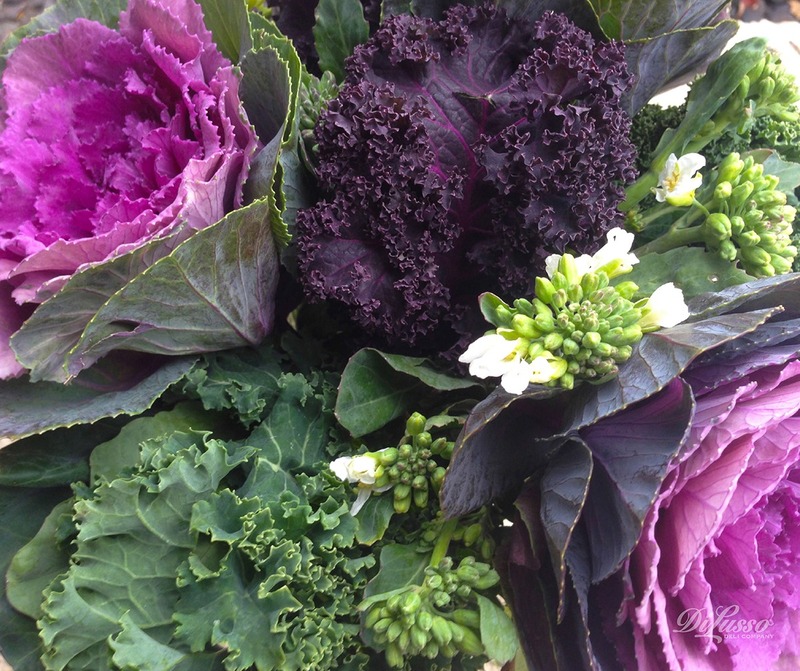 Fill a glass vase with flowering kale, curly kale, ornamental cabbages and flowering broccoli. These colorful vegetables in the ‘Brassica’ family are not only wonderful for you, they look wonderful on your winter table.